David Letterman, Jimmy Fallon, Arsenio Hall, there have been so many Late Night hosts. Do you watch their shows? Who was or is your favourite? My favorite late night person is Steven Colbert. He is very witty and usually have intellectually stimulating interviews. No I don't watch this -I think i tried it once but it was not very interesting. I guess watching for five minutes is really not enough to know! Are these chat shows? I've watched the Graham Norton Show a few times, but don't anymore. I used to watch The Daily Show, with Jon Stewart. Steven Colbert was the best part of that, so I sometimes watch his stuff now too. Gets lots of big time artists and movie stars. I never miss David Letterman - I am so going to miss him when he goes next year - I wish time would stand still. I also never miss Jimmy Fallon. And so wish we could still get Jimmy Kimmel here in Australia he is even funnier to me than Fallon. But really I watch any of the ones the show. Big fan of Jon Stewart and Colbert. I used to watch David Letterman, but now I don't watch any of those 'Late Night' shows. 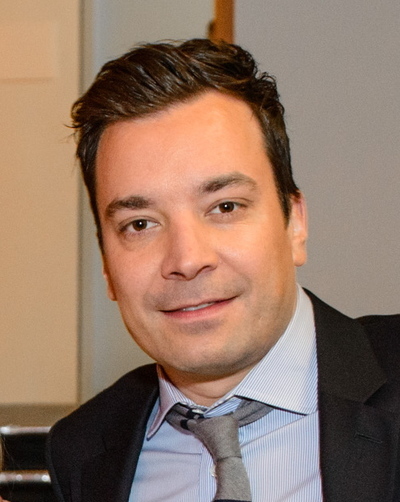 I'll try & watch Jimmy Fallon, next time I see it coming up on the tv, if it's not when I'm about to go to bed!